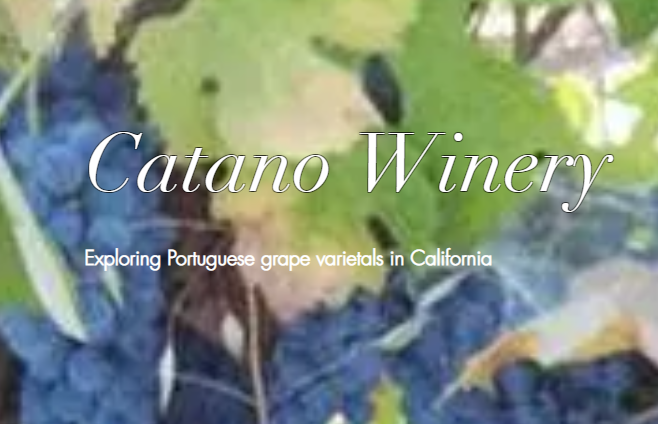 Painting with Pandora and Fourth Wall Entertainment are so pleased that Catano Winery has joined our monthly paint and sip classes. We are so grateful for their support of arts in our community. 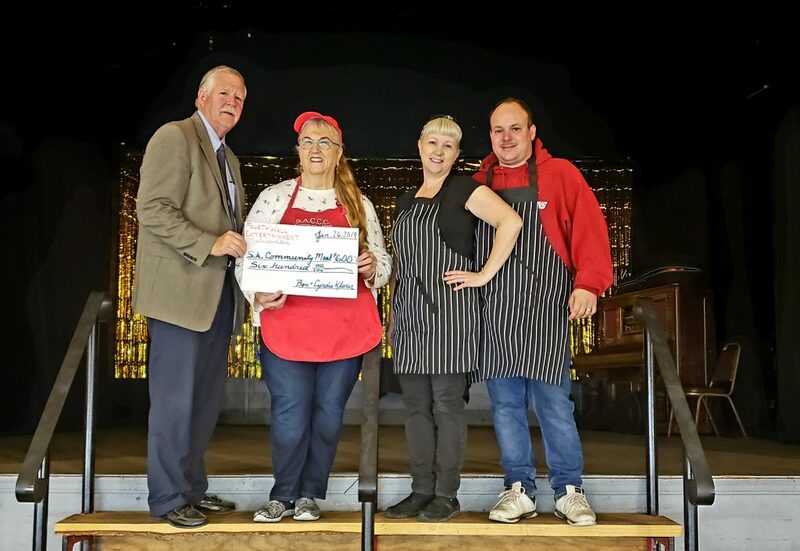 Fourth Wall Entertainment Troupe is very proud to present San Andreas Community Covenant Church with $600 raised at our murder mystery for The Community Meal that feeds up to 200 people a week! Congratulations, SACCC, and thank you to all that contributed! Ben and Cyndie Klorer had a dream, and are making it come true! Part of their mission is to support local businesses by employing local artists, serving local wines, hiring local staff, encouraging local artists, and cultivating knowledge of local history. They hope to bring patronage to our community from all over California, but know that they cannot do this alone. Producing live theater and entertainment comes at a cost, as does running a full restaurant and bar. What they need now are donors to support their mission by sponsoring events and making donations. 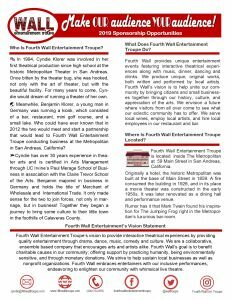 Fourth Wall Entertainment Troupe offers multitudes of events at The Metropolitan, each needing your support. With your sponsorship, we can work together to employ local artists, share our community’s culture, and bring a bit of business your way as well! Well we have many areas where you can help! 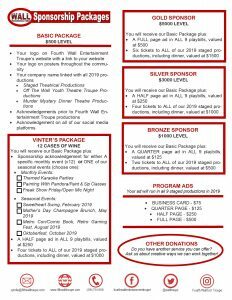 Run an ad in our programs for each of our 9 theatrical productions (including Murder Mysteries, Staged Productions, and Off The Wall Youth Theatre Troupe)! Donate wine and beer for sponsorship of certain events, be it theatre, Freak Show Fridays, Karaoke Parties, Seasonal Events, or Painting with Pandora! See your logo in our ads, posters, blogs, brochures, websites and social media! Get freebies and discounts to our productions throughout the year with VIP seating and service!